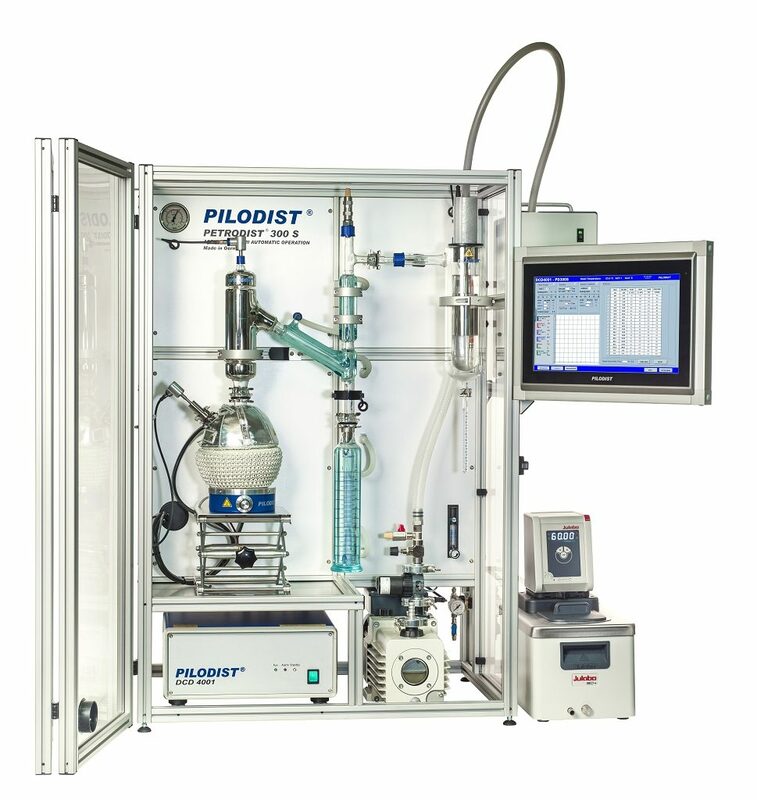 PILODIST GmbH is introducing a new edition of the popular PETRODIST 300 S, being a semi-automatic boiling analysis for crude oil according to ASTM D1160. The new improved compact design includes an automatic detection of the initial boiling point (IBP) as well as quick connections for parts to be removed after operation. 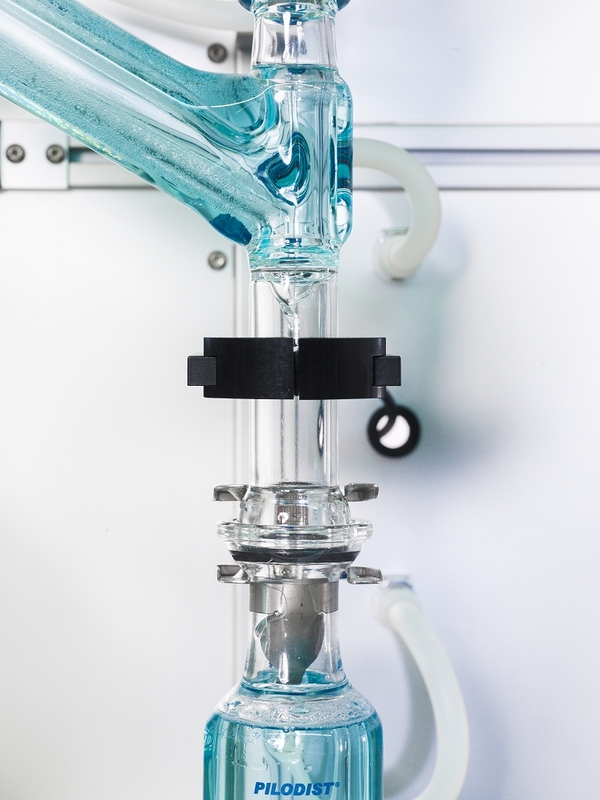 The distillate volume has to be measured by the operator in a temperature controlled receiver. A safety enclosure of the system to adequately shield the operator from the distillation apparatus in case of mishap as suggested by ASTM D1160-15 is quoted as an option as some customers will use the system within a fumehood.